The mortgage rates in Tennessee are currently at historic lows. Does that mean it is a good time to refinance? Well, the simple and straightforward answer is yes. If you are a Tennessee homeowner a mortgage refinance is well worth your consideration. It will help you lower your interest rates and consequently your monthly payments. Also, depending on the lender you choose, your new mortgage loan can come with very relaxed borrowing terms, like a term adjustment that will favor you in the long run. That said, when you are considering a mortgage refinance in Tennessee it is very important to look beyond the interest rates that a lender is advertising. There are many reasons for that (you can read all about them in the sections below), but at the top of the list is the fact that a reduced interest rate does not necessarily translate to lower payments. There are associated costs that come with a loan. A good refinance should reduce your payments so significantly to allow you to cover these costs (break-even point) within a very short time. Otherwise, you will still be left with an expensive mortgage whose payments are high, and that doesn’t make so much financial sense. Other than that, you also need to know the type of refinancing that is most suitable for you. In Tennessee, you have streamline and cash out options for all types of loans. Additionally, you can refinance from one loan to another (e.g. from a conventional to VA). Of course, those are only viable options if you are eligible. 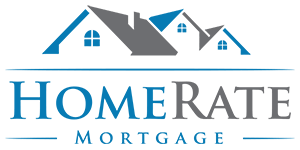 Our staff at HomeRate Mortgage have been noble enough to compile handy information on everything you should consider when looking to refinance. That includes your credit score, home equity, interest rates and so much more. Please read on and learn all about mortgage refinance. If you have any questions feel free to email or call us, and we will be more than happy to help.